Did you know that you can do a screen recording of your iPhone, iPad, or iPod touch using your Mac? Not only is this possible, but it is very easy to do! 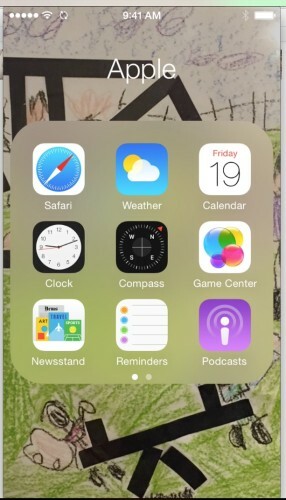 First, you need your iOS device with iOS 8 (or later) installed connected to your computer with OS X Yosemite (or later) installed. 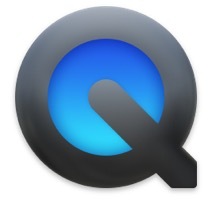 Next, open the application called QuickTime Player. This will open a window for recording your movie and activate your computer’s camera. In that screen is a control bar with a red record button. Next to that button is a little arrow with a drop down menu. In that menu will be a lot of items, including your connected iOS device. 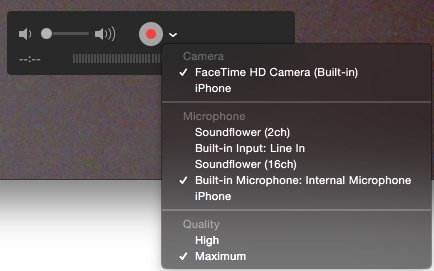 Choose the iOS device and the display in the recording window will go from your camera to your iOS screen! All you have to do now is click record and the application will record whatever you want to do from your iOS device. This is also a great way to show an iOS device through your Mac without recording. 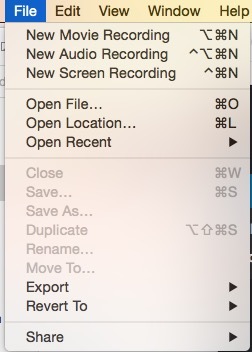 When you are done you can save the recording from the File Menu. A very cool, very simple, and basic technique.